With winter just around the corner, it’s the perfect time to start thinking about investment pieces to keep yourself warm and cosy. Australian Merino wool is a premium fibre that’s perfect for all year round but especially suited to keeping you warm in the winter time. We have put together a list detailing why we love Australian Merino wool and by the time you're finished reading, we think you will love it just as much as we do! In no particular order here are the top 10 reasons why you will love Australian Merino Wool. Wool is traditionally thought of as the perfect fibre for winter and merino wool is no different. Not only is Australian Merino wool perfect for winter though, its perfect for all year round. The crimped composition of the fibre provides unbeatable insulation by condensing moisture and air inside the fibre and providing heat to your body. In warmer months the fibre is able to keep you cool and dry as Merino wool is hygroscopic. This means it draws and keeps moisture away from the skin. This transfer of moisture away from the skin allows your body to feel cooler without that sticky, wet feeling that is sometimes caused by synthetic garments. The mention of wool can sometimes evoke memories of scratchy jumpers or itchy blankets, but merino wool is the complete opposite. Merino Wool is finer than any other wool fibre and this is the secret to its softness. Because the individual fibres are so fine, they are more flexible and malleable which makes it softer than any other wool fibre. This luxuriously soft to the touch feel makes it perfect for next to skin clothing. With a busy modern lifestyle, high maintenance textiles and clothing can be just another chore on your list of never-ending responsibilities. Traditionally wool needs to be hand washed, but once again Australian merino is the exception to the rule being particularly low maintenance. You should always consult the care label on your garments first but most Merino wool products can be thrown in the washing machine on a delicate or wool cycle with like colours and fabrics. Merino wool scores even more points on the easy-to-care-for scale as depending on how you dry it ironing becomes optional. This is largely due to the natural elasticity of the fibre allowing it to retain its shape, another one of nature’s miracles that merino wool was blessed with. Wool jumpers can sometimes shout “grandma’s hand-knitted jumper”, but Merino wool challenges by giving its wearer modern silhouettes and shapes that effortlessly add sophistication to any look. Merino garments come in a range of different knits and textures from the fine knit weave used to craft our merino pants for a more traditional looking fabric to chunkier on-trend knits used in our Avoca Scarf that will make any outfit winter ready. The colourfast properties of the wool make it perfect for soaking up dye, so Australian merino wool is available in a wide variety of vibrant, modern colours. Synthetic fibres have a tendency to be treated with chemicals, for allergy sufferers and people with sensitive skin this can trigger contact dermatitis resulting in sore, itchy skin. Naturally occurring Australian Merino Wool is just that, Natural. It isn't made from or treated with harsh chemicals so you know exactly what you are wearing. Merino wool can act as a “second skin” for people with dry skin making it the perfect option for people with sensitive or dry skin. It has also been proven that merino wool is not an allergen making it perfect for the whole family, even allergy sufferers. Consumers are becoming increasingly socially aware of the products they are buying and Australian Merino wool ticks all the boxes. Merino wool is the responsible alternative to synthetic textiles as its organic, renewable and sustainable. Australian merino farmers are committed to raising their sheep in a natural way utilising fresh air, grass, clean water and the Australian sunshine. After all, Healthy and happy sheep means premium quality wool. The merino sheep grows an entirely new fleece every year which is then safely shorn off for the new fleece to grow in making wool sustainable. Not only is Australian Merino sustainably sourced and natural, it’s also biodegradable. Merino sheep if unshorn shed their fleece naturally, the fleece then breaks down in the soil within a number of years providing nutrients back to the soil. So after a long life of keeping you warm, you can feel assured that your Merino wool jumper won’t harm the planet. Your Merino garments will last you years to come but will break down into soil once you are done, reducing your footprint on the planet. We mentioned earlier how soft merino wool is but it also won't make you itch. This is how we know your new product will become one of your go-tos for travel, every day or even just relaxing. The fibres bend softly against your skin, making these garments perfect for long-haul travel or lazy afternoons hanging around your house. In the harsh Australian sun, keeping yourself safe from harmful UV rays is super important. Merino wool has got you covered, quite literally. Australian Merino wool can act as a barrier and just as it does for sheep, it absorbs UV rays keeping them away from your skin and ultimately keeping you sunburn free. Perfect for summer or those overcast days when we forget the UV is at its highest. Yes, you read that correctly, Australian Merino Wool is odour resistant! This means your jumpers will last you longer between washes while still feeling fresh and clean. Again, this is the magic of the merino wool fibre. 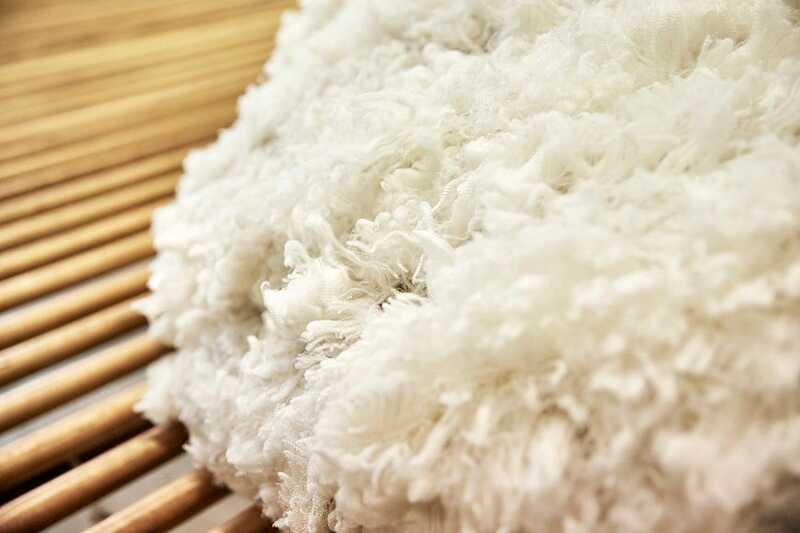 The nature of the fibre means that Australian Merino Wool locks away odours and inhibits bacteria growth. Not only does this mean you can go longer between washes, you can feel confident on those warmer days that you will be fresh all day long. Merino wool has a natural elasticity, so whatever your body can do Merino wool can do too! Merino wool’s natural elasticity means it will stretch with you but will retain its natural shape once you are finished wearing the product. This not only provides superior value for money as your products will hold shape longer, it also allows for the ultimate comfort and flexibility. It is no surprise that Merino wool is not perfect for everyday wear but is becoming increasingly popular as activewear.